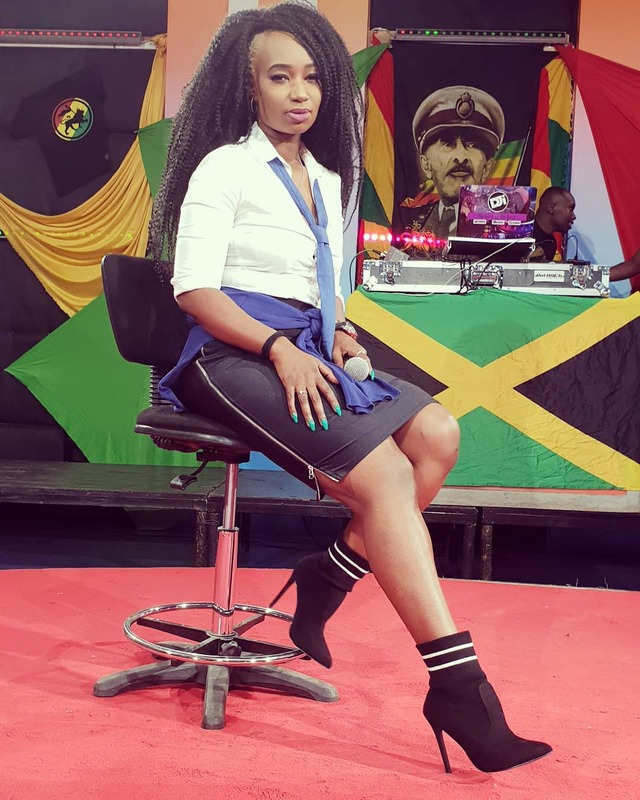 TV presenter Talia Oyando caused tongues to wag when she took to social media to flaunt yellow mellow thighs in a tight skirt. Talia looked all seductive as she sat on a seat dressed in a white shirt and a tight black skirt which offered panoramic view of her wondrous thighs. 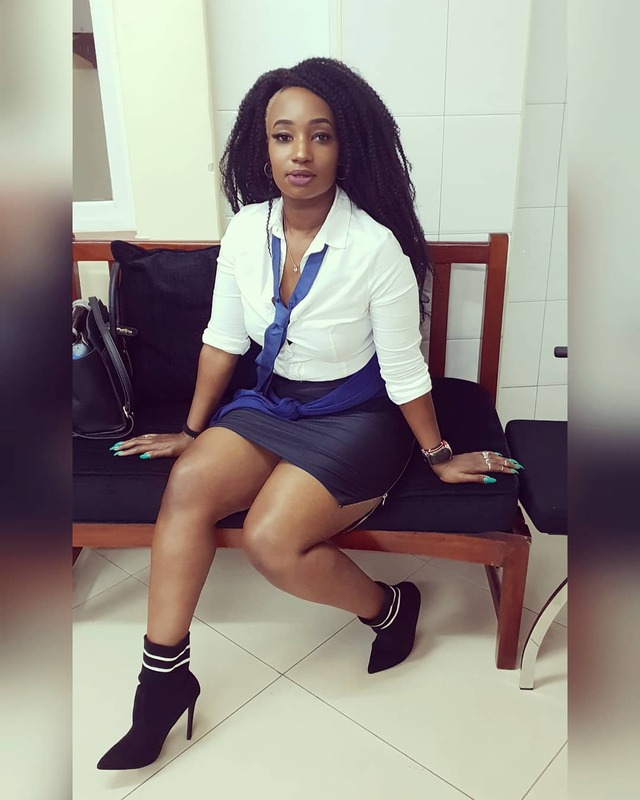 Mafisi were drooling like crazy after Talia Oyando shared the titillating photos on social media. Nameless commented on Talia’s post to let her know she was really causing trouble. “Haiyaaaa?? 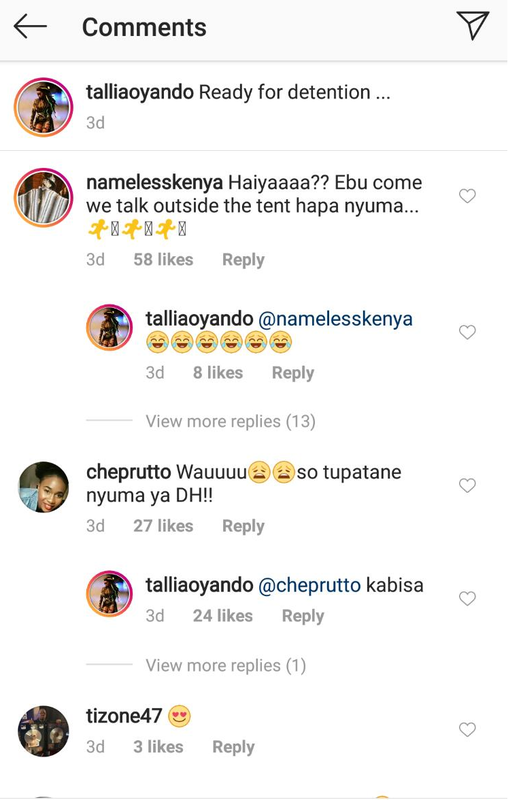 Ebu come we talk outside the tent hapa nyuma…” Nameless joked.